GYRO, a Shanghai-based design brand, recently launched a two-in-one design ? a floor lamp and a coat rack. 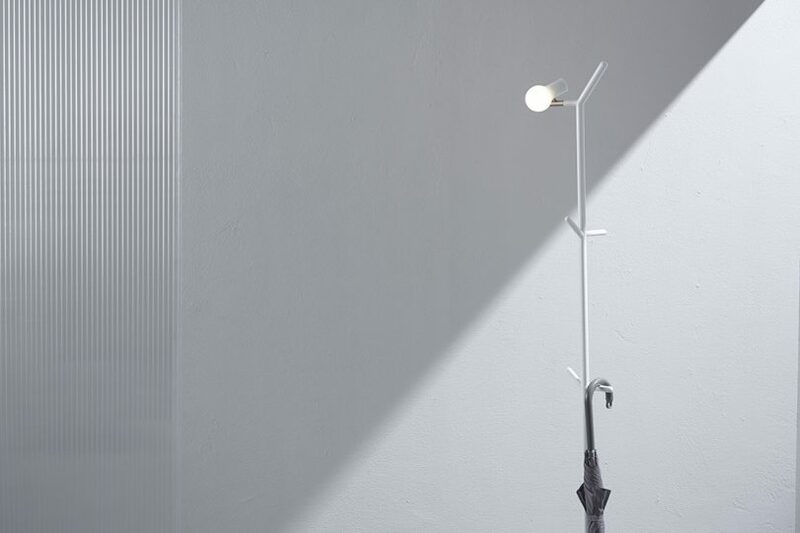 Myna combines both the floor lamp and coat rack into one, convenient design. With a sleek iron base and angled bulbs, Myna both greets guests and also creates a warm ambiance. It also utilizes modern technology, with an integrated touch dimmer that has a memory function. Each bulb is low voltage, keeping it safe to the touch. Bird Lamps are named due to its similarity to birds perched on telephone poles. Originally designed in 2006 by Zhili Liu, it took 10 years to refine it to exactly what the designer was looking for. Thus, the Bird Lamp, simple lighting that strips away all the necessities, leaving minimal structure with maximum light efficiency.